Enter to Win $1,000 to Throw a Bug-Free Backyard Bash! We love holding outdoor barbecues, but the worst thing that can bring a great party down are the bugs! We live in the country so bugs are obviously not uncommon. Use Combat to get rid of these pesky pests! 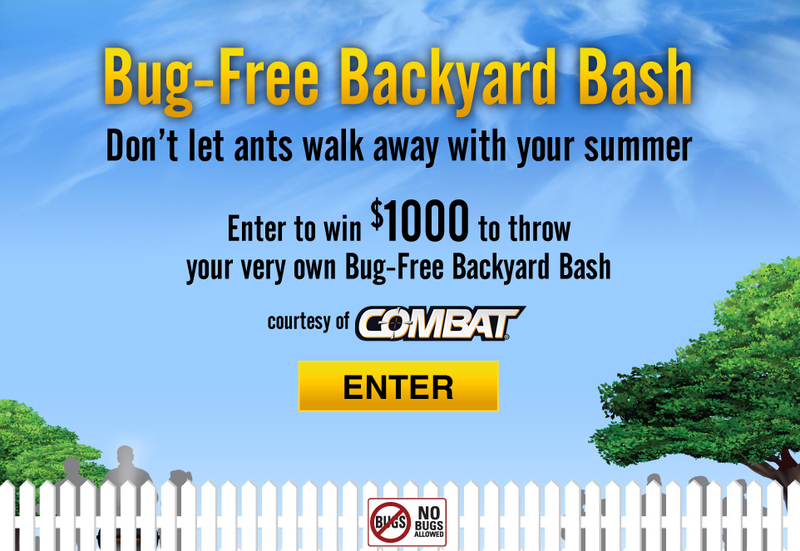 Enter to win $1,000 and Combat products to host your very own Bug Free Backyard Bash! One lucky winner will win $1,000 and a variety of Combat Ant killing Baits and Gels.